As consumers, we’ve all been there – sitting in front of the television in the evening, an ad appears talking about “50% off our range of Product ABC, available at all of our stores nationally tomorrow only!” Not wanting to go and boot up the PC, or grab the laptop, you reach for your trusty smartphone. You look up the company, keen to know what time they’ll be open tomorrow and where your closest branch is…..
Option 1 – The company has an excellent mobile-optimised site that loads quickly and provides easy access to the key information – WIN! Option 2 – The company has a non-mobile friendly website, it’s slow to load, forces you to awkwardly zoom in, is hard to read, and areas of it don’t seem to work at all… Unless you (as the customer) are extremely dedicated, it’s likely you’ll abandon the site and forget about it – FAIL. As technology improves and more brands take the leap to mobile, users have higher expectations on the mobile website experience. While mobile is often an afterthought for a lot of businesses, we encourage you to think ‘mobile-first’ and invest in it like you would your regular website. If you have a ‘special’ running that you’re advertising, make sure that’s reflected somewhere on the front page. You want people to see the graphics in your TVC, and then get that same ‘feel’ when they access your site. It immediately tells them that they’re in the right place. Loading time can be a major contributing factor to page abandonment – where people basically lose patience and move onto something else. A survey has shown that most people are willing to wait 6-10 seconds for a page to load before they give up (Source: KISSmetrics). People want to get the important information they require quickly and easily – don’t make them work for it! Serve it up to them on a silver platter. If you have a ‘special’ running that you’re advertising, make sure that’s reflected somewhere on the front page. You want people to see the graphics in your TVC, and then get that same ‘feel’ when they access your site. It immediately tells them that they’re in the right place. The purpose of any website – be it mobile-optimised or not – is to encourage the visitor to engage with you. Depending on your business, this might be a phone call, the filling out of a contact form, or the purchasing a product. So you need to make it easy for your users to connect! For example, if you’re a service based business like a beauty salon, make sure your mobile-optimised site has a clear phone number (with click-to-call functionality). Taking it a step further, if your beauty salon is advertising on TV slots that are outside of your regular business hours, perhaps build a ‘Request a Booking’ form into the website where the potential client can fill in their name, phone number and request. Simple techniques like this can make the difference between getting that person as a customer or not. 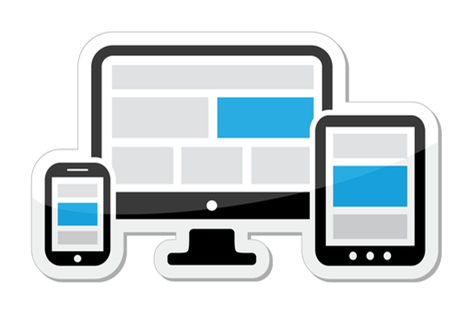 So we’ve covered off on a few pointers here designed to help you improve your mobile-optimised website. Your best bet is to give your website company a call and tell them you want to power up your mobile site! If you’re looking to speak with a local company who puts mobile first, and has built a series of mobile-friendly websites for businesses, arts festivals and more, you need to give us at DBG Technologies a call!